Da Capo Lifelong Books, 9780738214696, 240pp. What can you learn about success from a robot? And why shouldn't you take a test while wearing red? 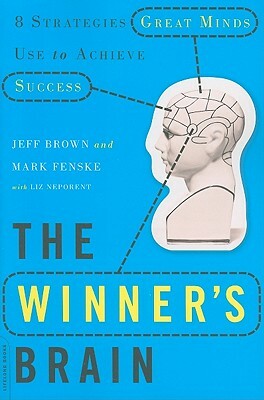 In The Winner's Brain, Harvard-trained brain experts Jeff Brown and Mark Fenske explore the surprising science behind motivation, focus, and extraordinary achievement--identifying eight essential "win factors"--and why the key to success really is all in your head. The book includes dozens of interviews with notable winners, from B.B. King and Olympian Kerri Strug to the Whac-A-Mole™ inventor. Compulsively readable, The Winner's Brain will show you how to unlock your hidden potential and give yourself an edge. Jeff Brown, PSYD, ABPP, is a cognitive behavioral psychologist at Harvard Medical School. He lives in Boston. Mark Fenske, PhD, is a neuroscientist and associate professor in psychology at the University of Guelph. He lives in Ontario, Canada.